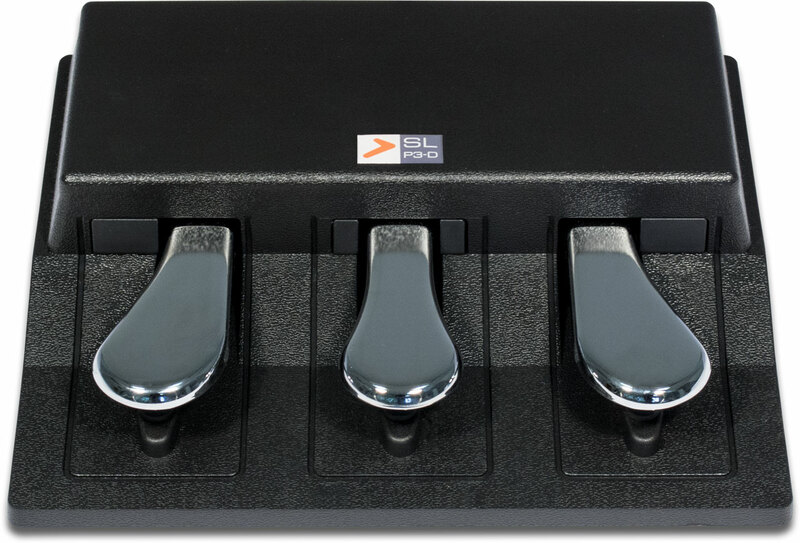 The SLP3-D is a new triple pedal, that allows to have 2 switch controls (left and center pedals) and 1 continuous control (right pedal) connected only with one standard stereo jack and a single cable. The simplified connection avoids the need of multiple cables or plugs and the 3 pedals are perfect controllers for pianists and keyboardists, looking for a reliable and total musical expression. 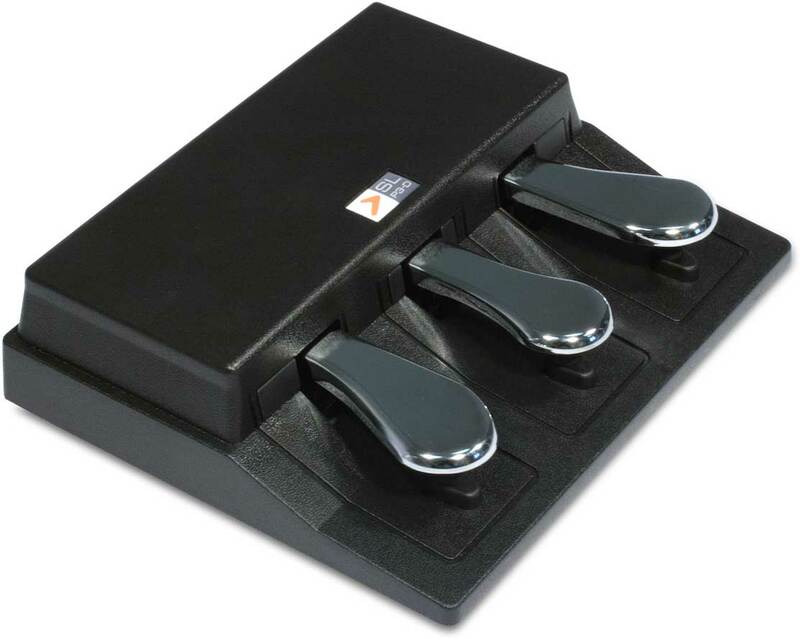 A typical application of this special SLP3-D multi-pedal could be to control the "Soft" function (Una corda) with the left pedal, the "Sostenuto" function with the middle pedal and the "Half Damper" function (Half Pedaling) with the right pedal, providing that the sound-generator (VST) or musical instrument, played by a midi controller equipped with the SLP3-D, would implement these functions. Width: 26,2 cm / 10,3"
Depth: 22 cm / 8,66"
Height: 6,5 cm / 2,56"